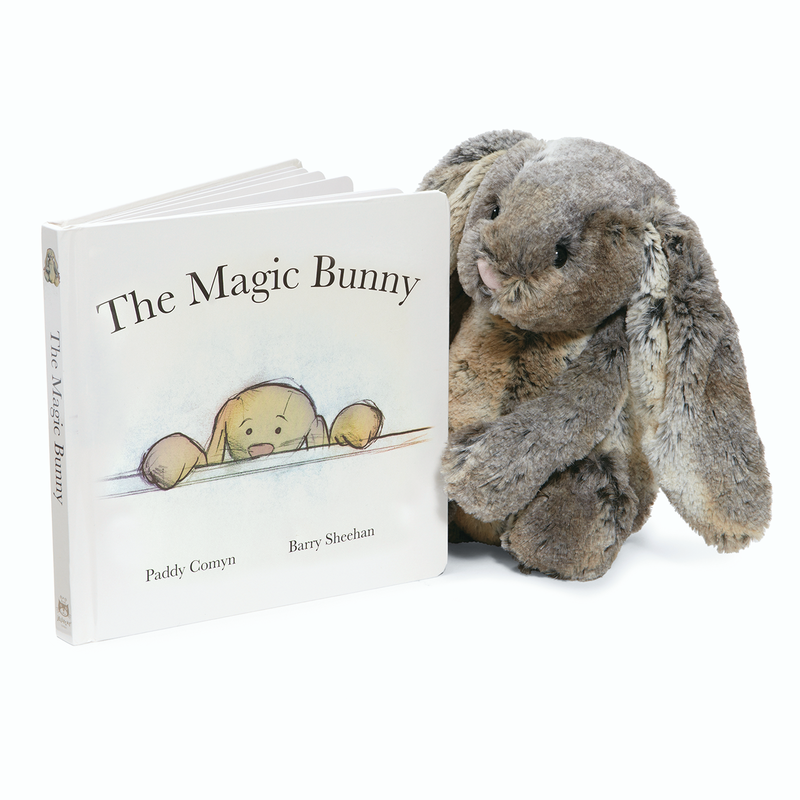 The Magic Bunny book along Bashful Woodland Bunny plushie is a fantastic set to give as a gift to any infant, child or anyone young at heart. The Magic Bunny is a story of friendship between a very special bunny and his human. Included in this set is Bashful Woodland Bunny plushie. Is she grey or orange? Silver or fawn? Who knows, but she’s lolloping out on the lawn! Pretty Bashful Woodland Bunny is the picture of bunny style, with her fluffy two-tone fur and sweet, friendly smile.